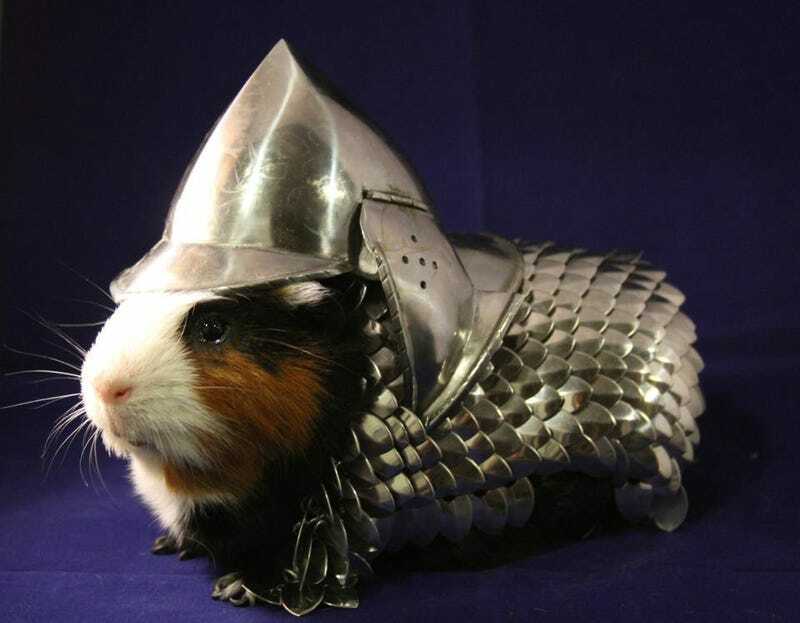 If your guinea pig routinely dashes off into armed combat (or just likes the look of scale mail), you might want to outfit him or her in this handsome suit of armor, perfect for rolly-polly rodents. After Lucky, the original owner of the armor and model for these photos, passed away, eBay seller mightys0x decided to auction off Lucky's armor. All of the proceeds from the auction will go to Metropolitan Guinea Pig Rescue in Virginia, the organization that rescued and adopted out Lucky. Lucky's owner made the scale mail and purchased the tiny helmet. The auction ends on June 21st.